Agrostemma githago plant. David G. Smith.discoverlife.org (Accessed 7/2017). Agrostemma githago is an annual herb to 1 m tall, stem thinly whitish-hairy. Leaves opposite, stalkless (sessile), blade linear to lance-shaped, to 12 cm long, 1 cm wide. Agrostemma githago.commons.wikimedia.org. en.wikimedia.org. (Accessed 7/2017). 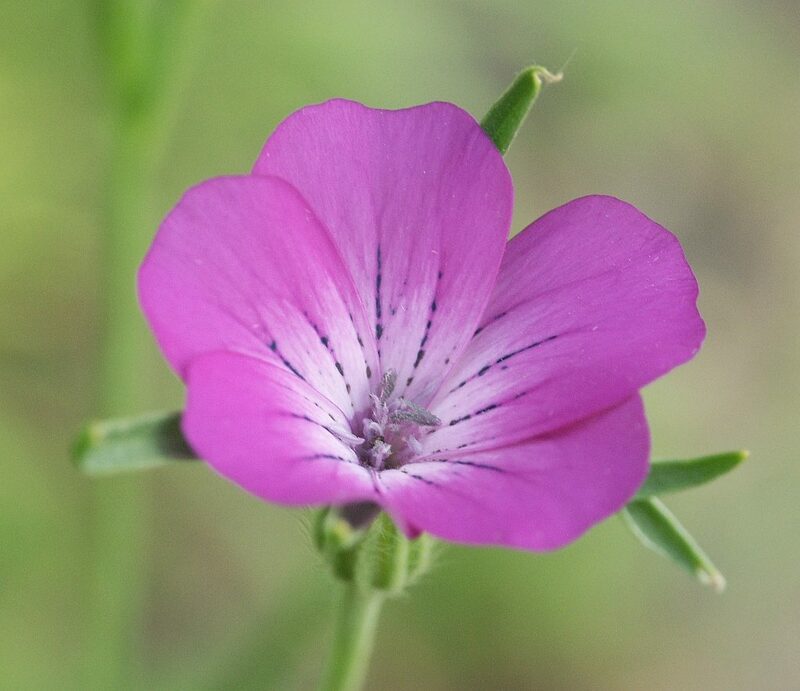 Flowers reddish, radially symmetrical, to 4 cm wide, petals 5, overlapping, widest near notched tops, calyx lobes to 4 cm long, linear, longer than petals, hairy; blooms June-Sept.
Fruit dry, hollow, a capsule, less than 2 cm. 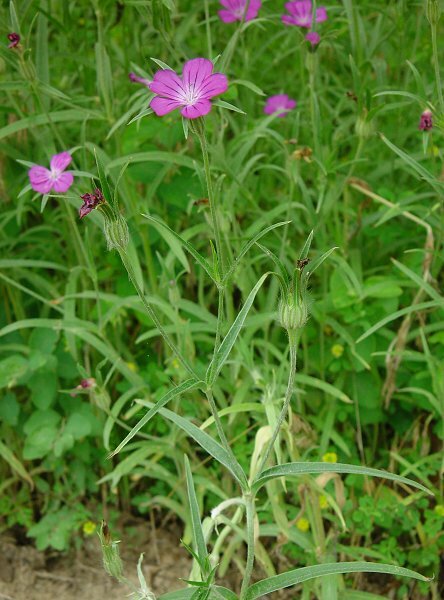 Habitat: An agricultural weed in open soil.